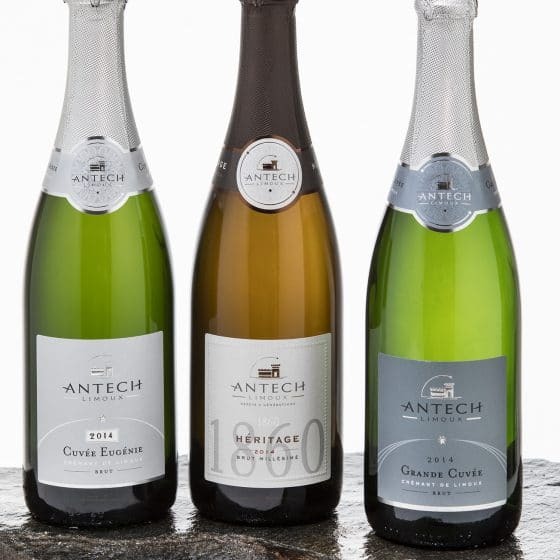 Our young crémant blanc vintages are a blend of grape varieties illustrating their aromatic profiles: chardonnay for delicacy, pinot noir for vinousness, chenin for vivacity and mauzac for the terroir. 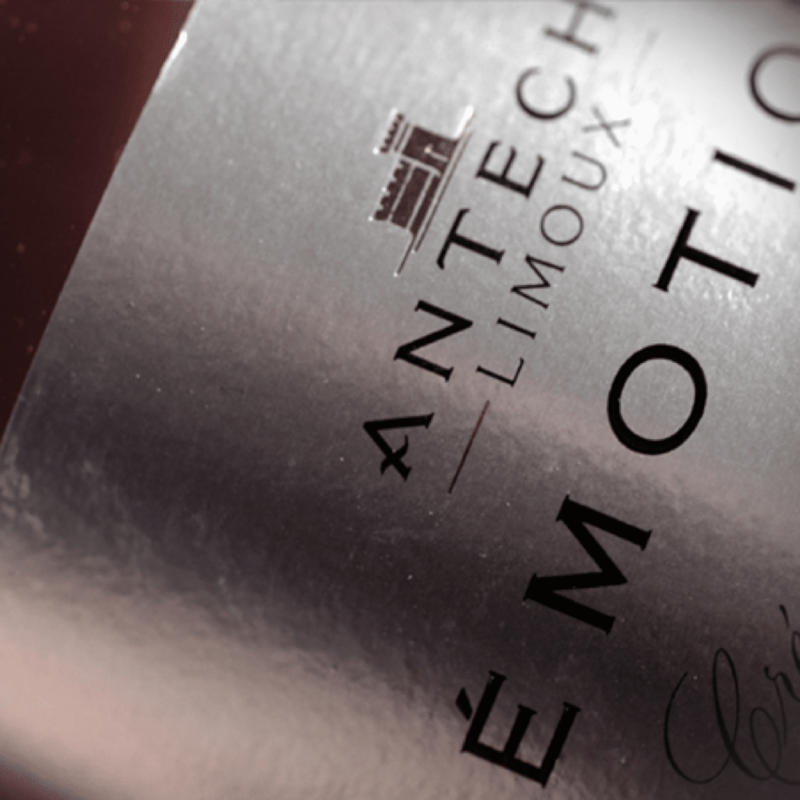 Experimenting with long ageing processes since 2010, combined with extreme vinification, revealed these wines’ suitability for keeping a long time and the complexity of fermentation in oak casks. 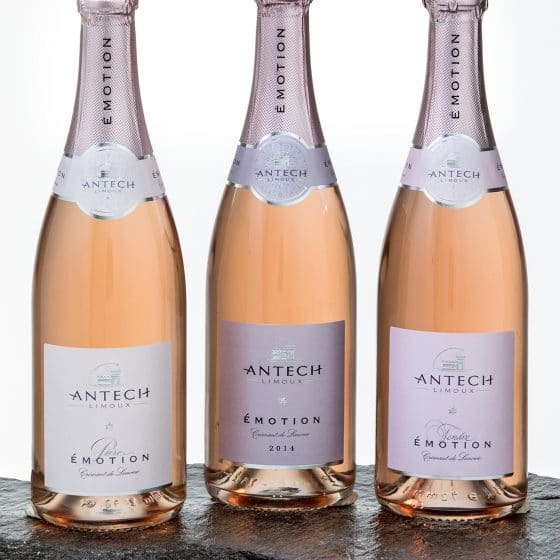 Varying the dosages for a single wine resulted in three cuvées with delicate nuances between freshness, balance and roundness. 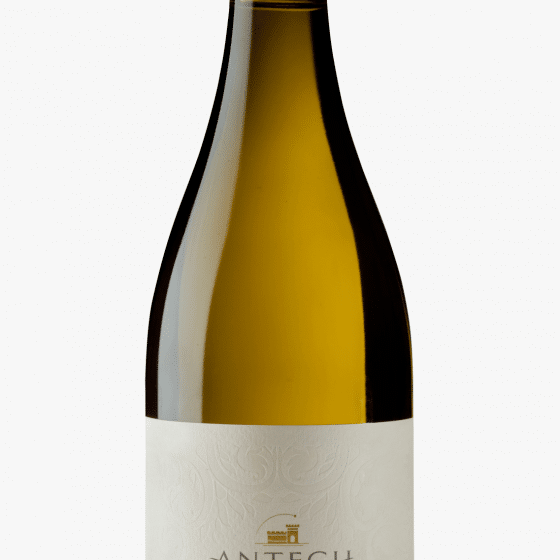 The goal is to preserve the elegance of our whites while heightening the berry aromas. 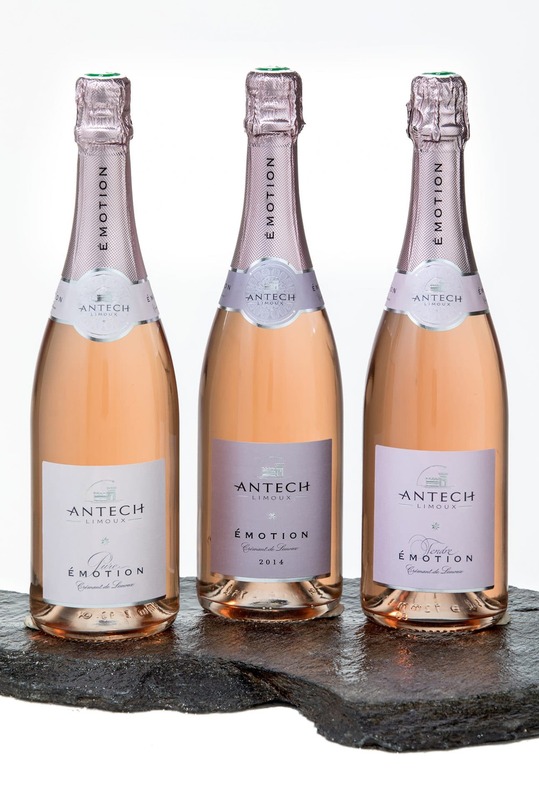 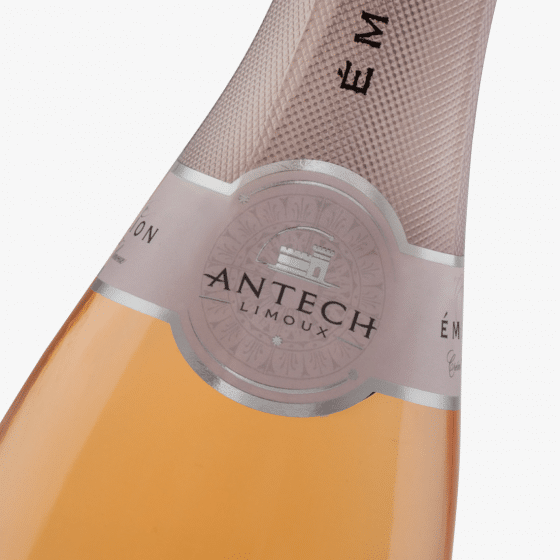 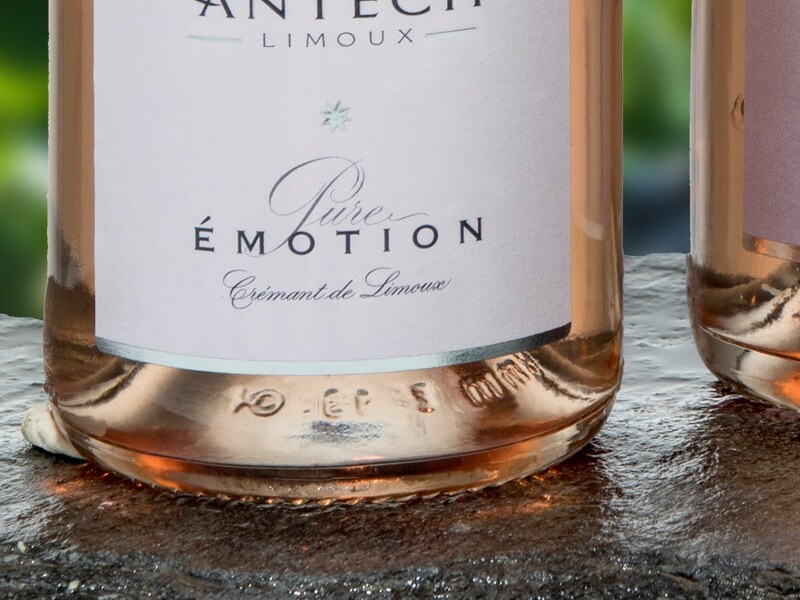 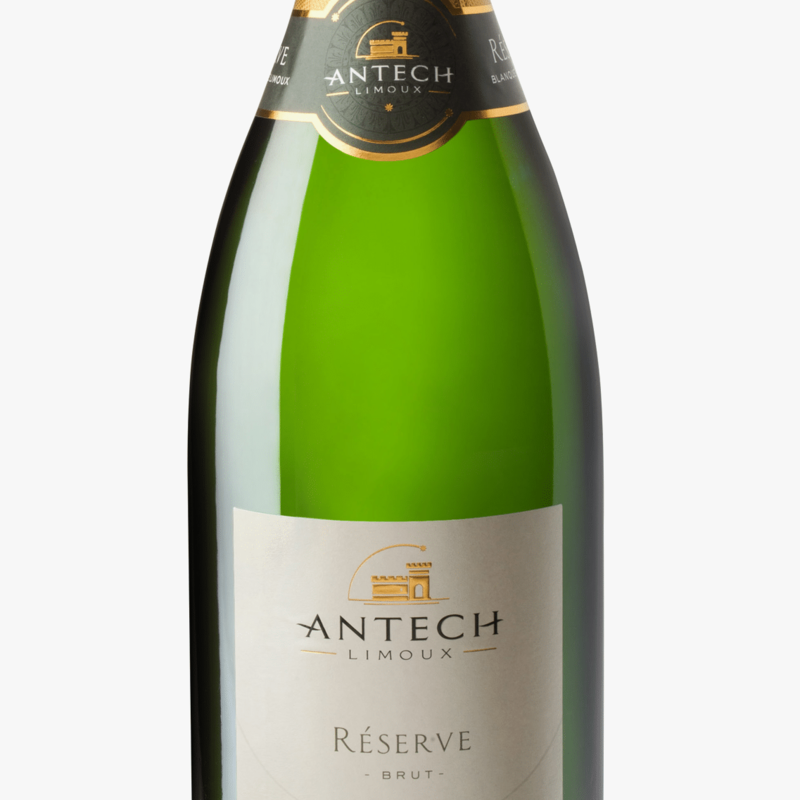 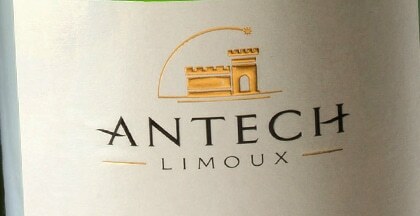 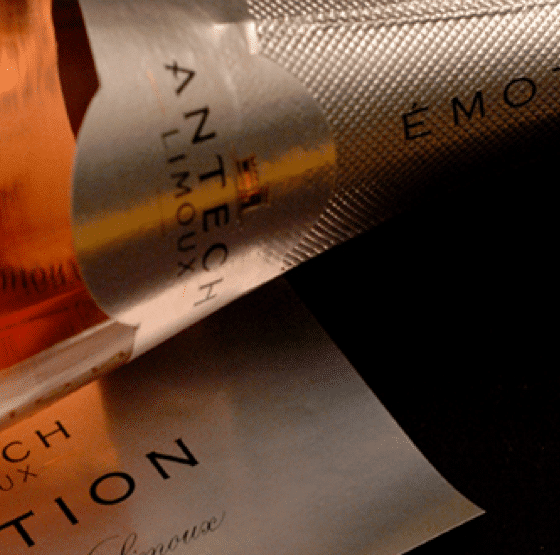 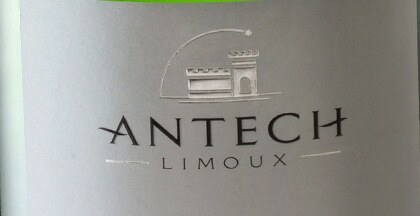 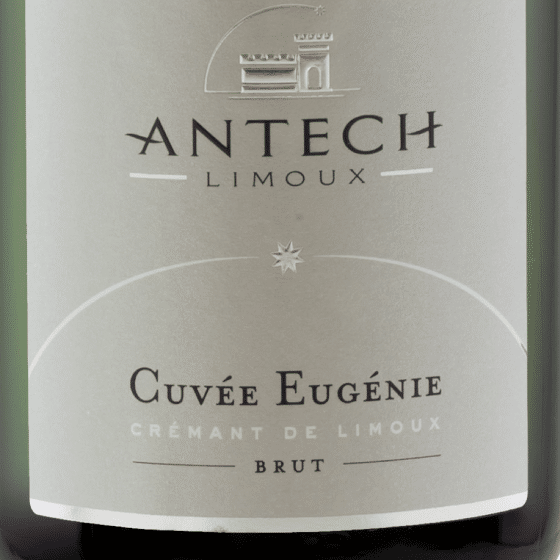 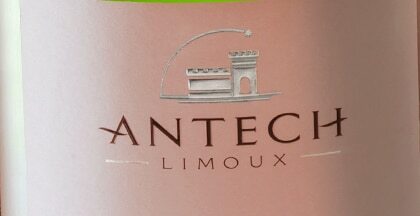 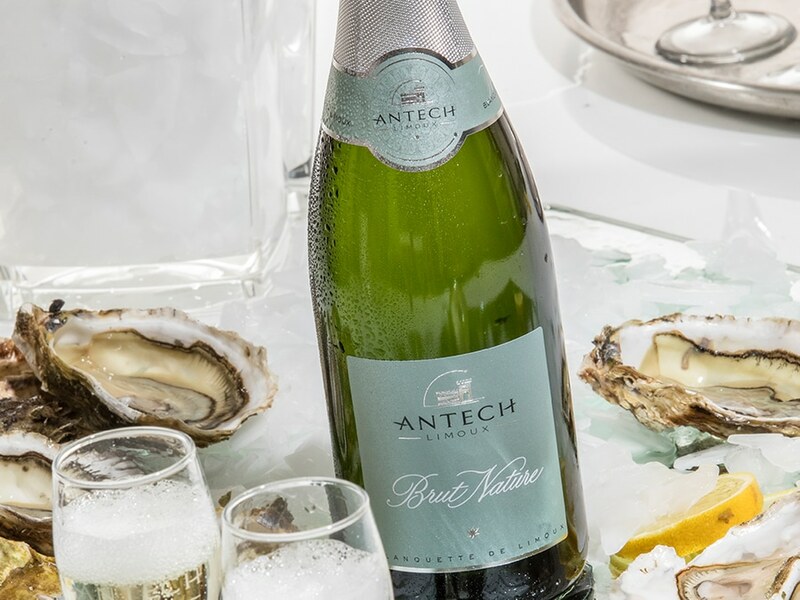 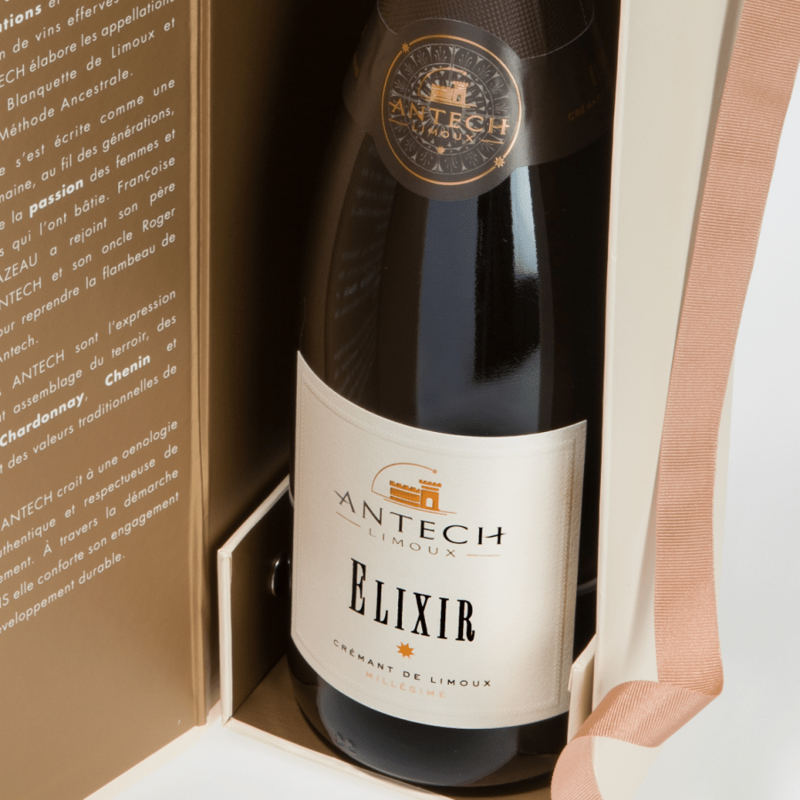 A pioneer of the young rosé appellation, Antech stands out for its intrepidness. 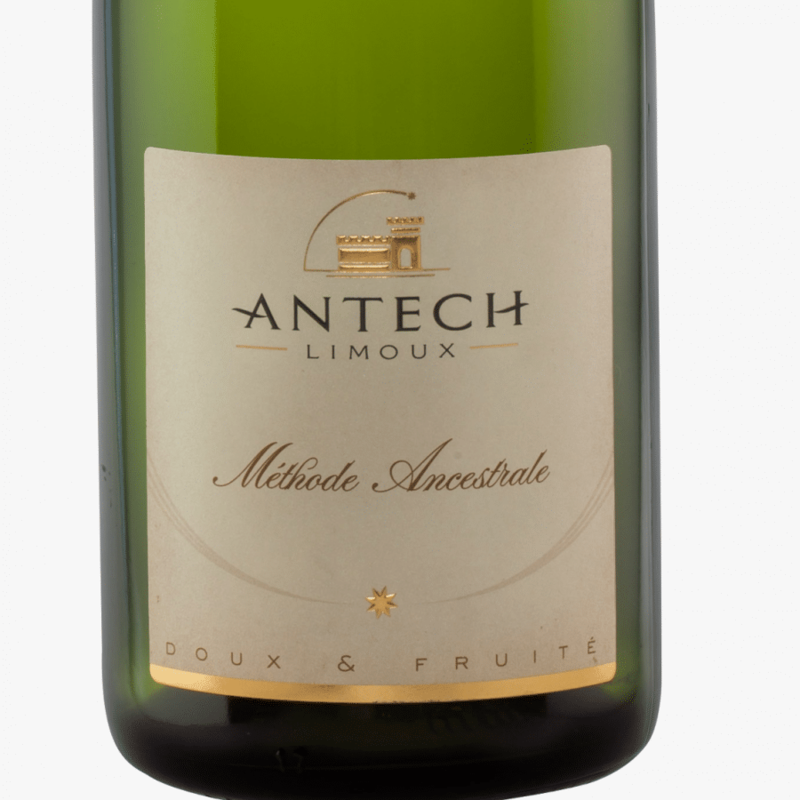 The careful selection of our Mauzac juices combined with different dosages, results in subtle orchard fruit variations, and highlights this rare, local grape grown only in two regions in the South of France. 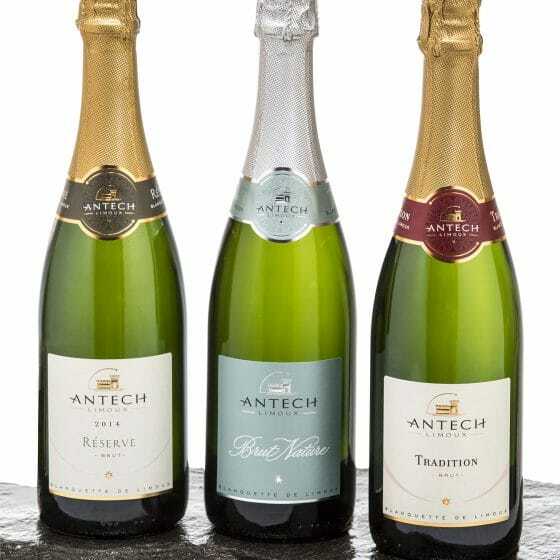 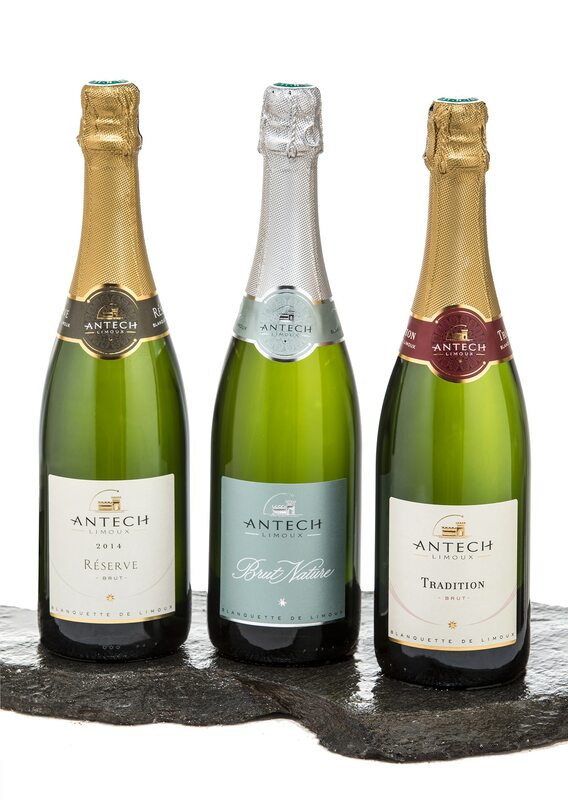 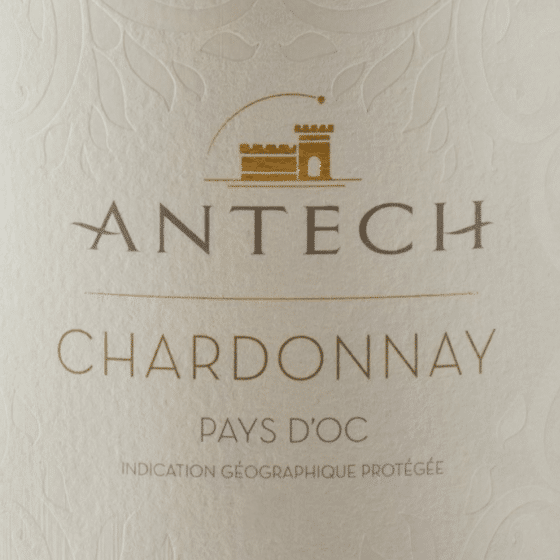 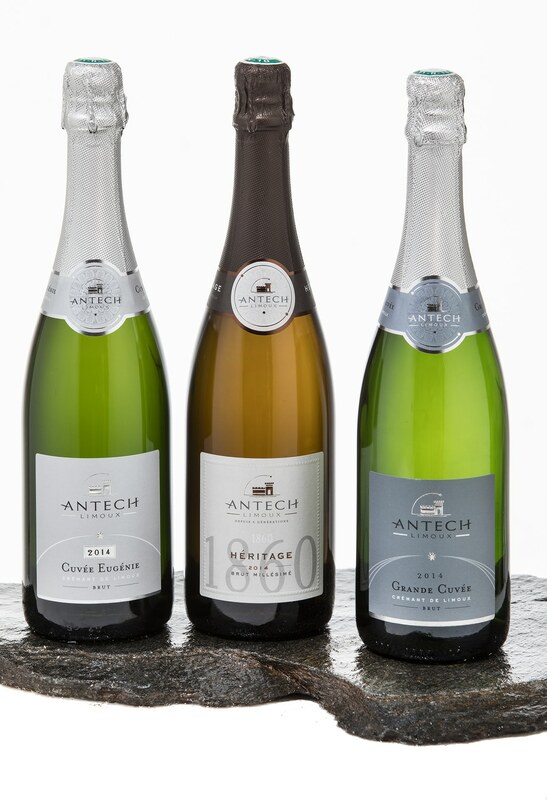 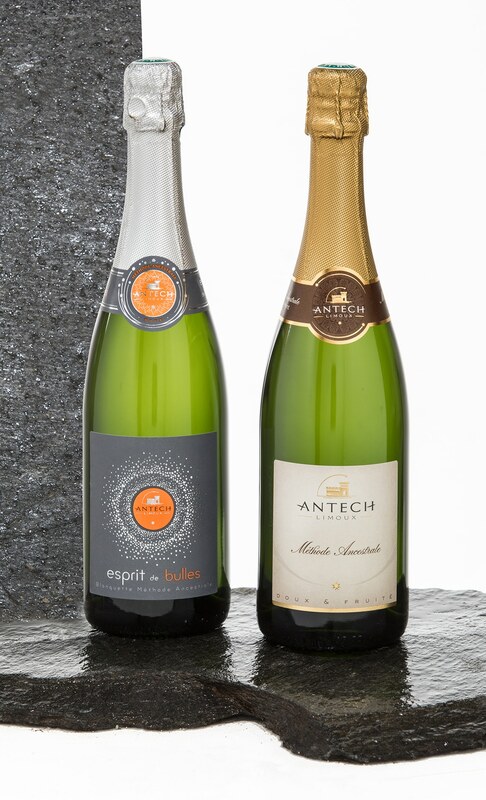 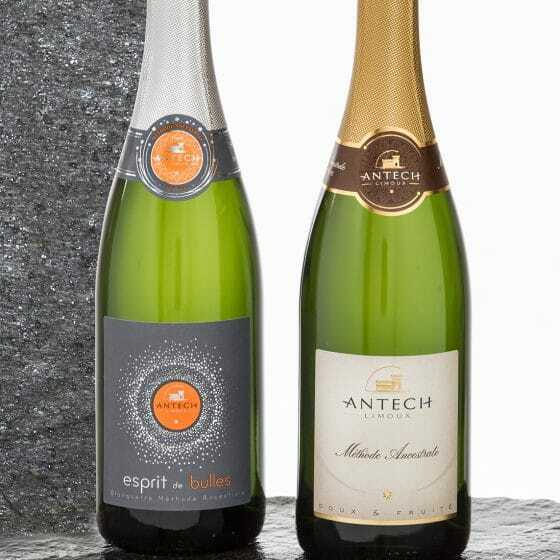 Attached to its heritage, Antech still practices the long, complex ancestral process, which other winemakers seldom use anymore. 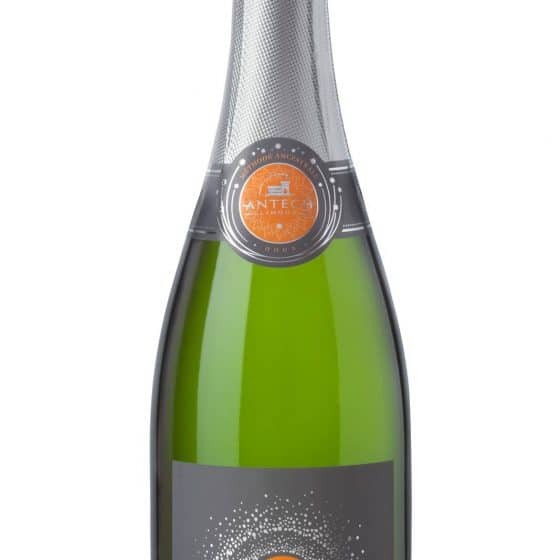 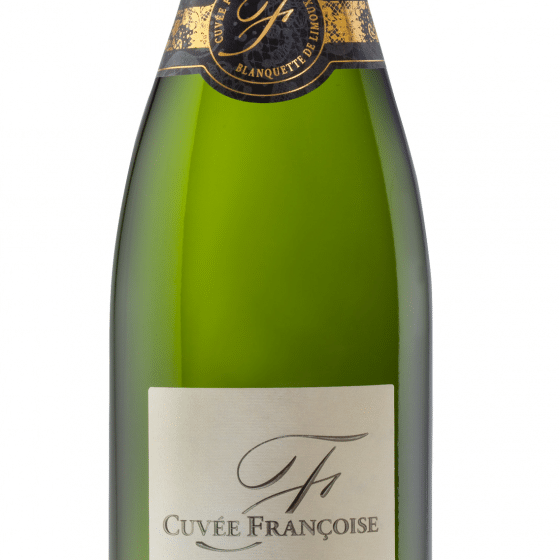 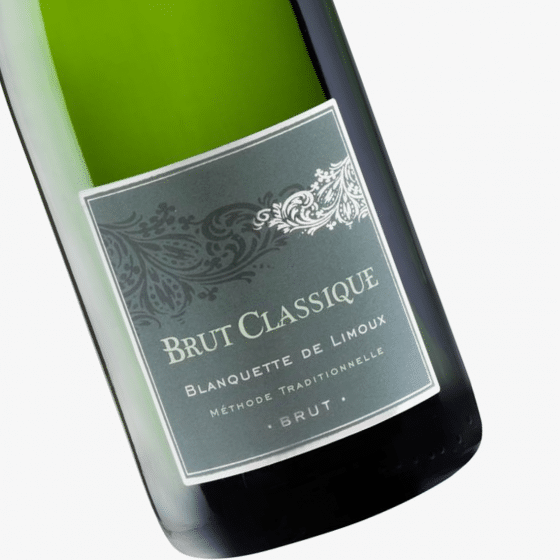 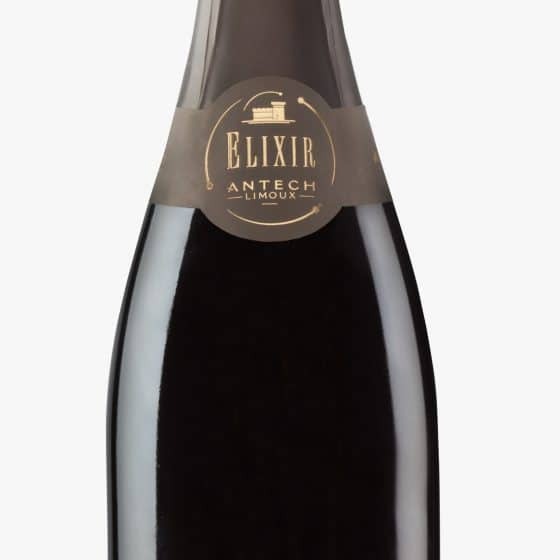 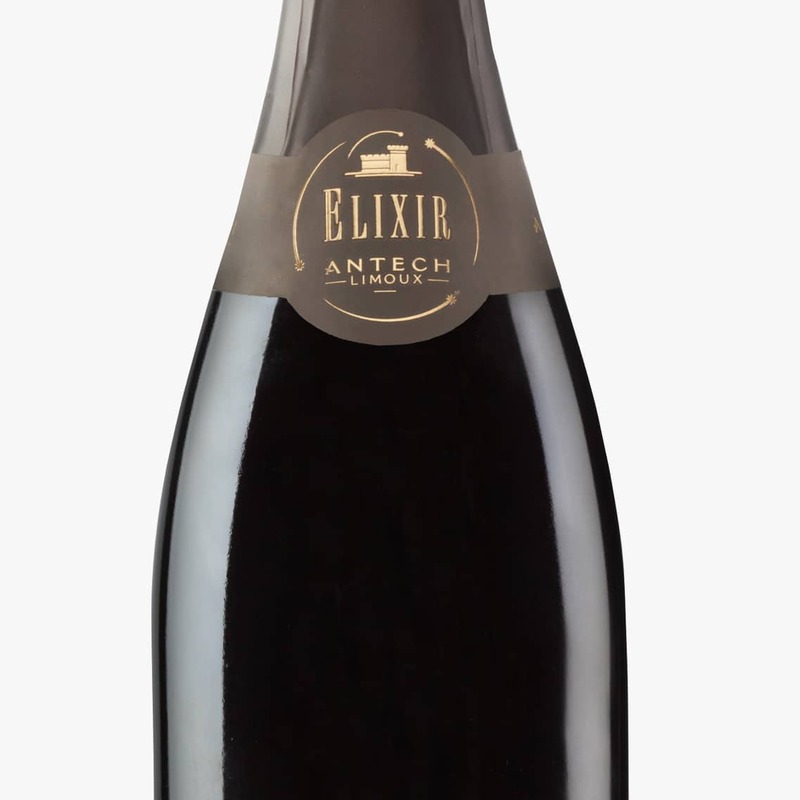 The result — a sweet, fruity sensation combined with a low alcohol content — makes it a singular cuvée recalling the flavours of a bygone era. 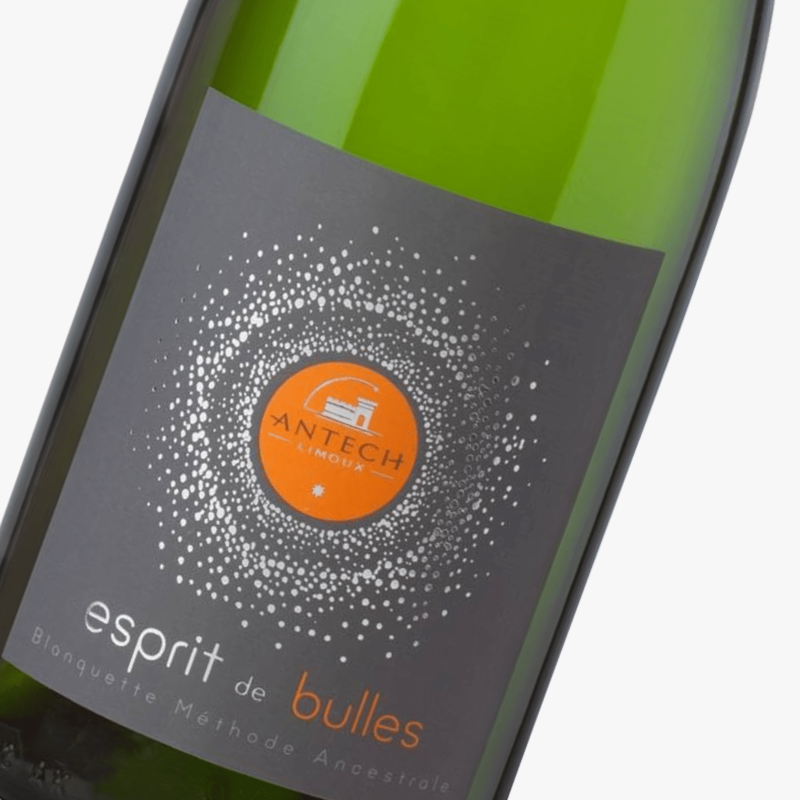 Considered the most beautiful terroir in Languedoc-Roussillon for white wines, Limoux also reveals still wines in the Pays d’Oc. 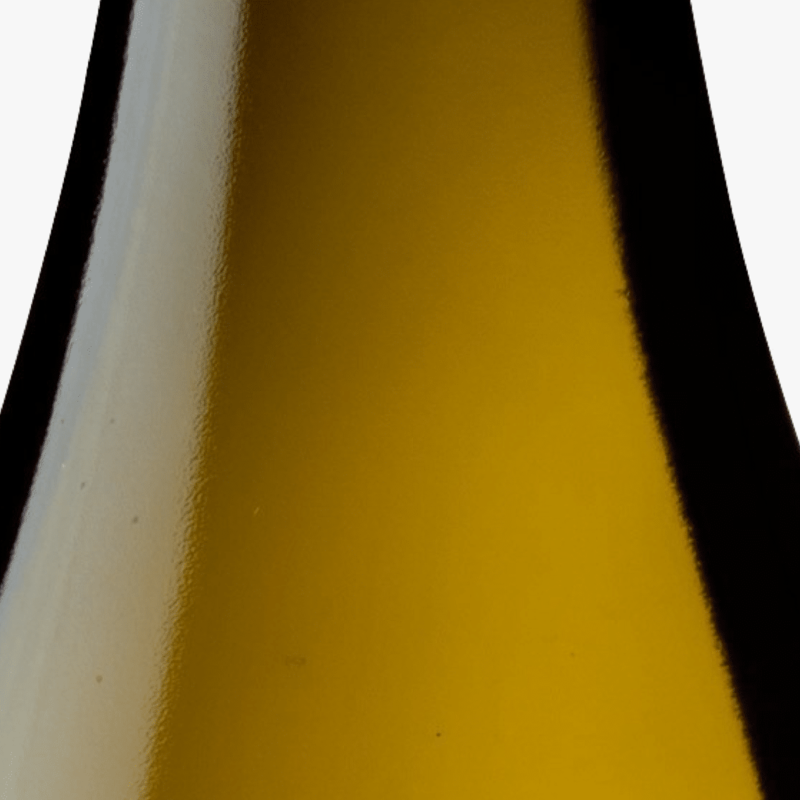 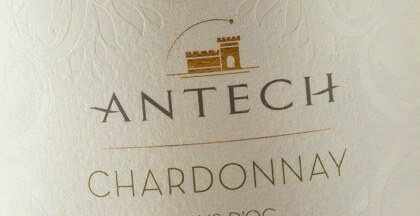 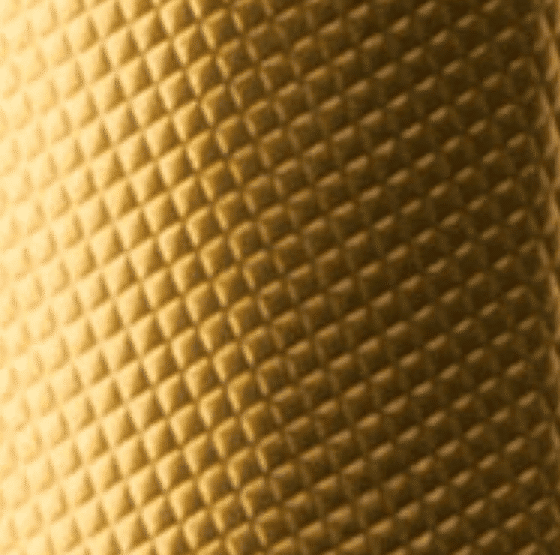 Altitude has contributed to the elegance and freshness of our chardonnay. 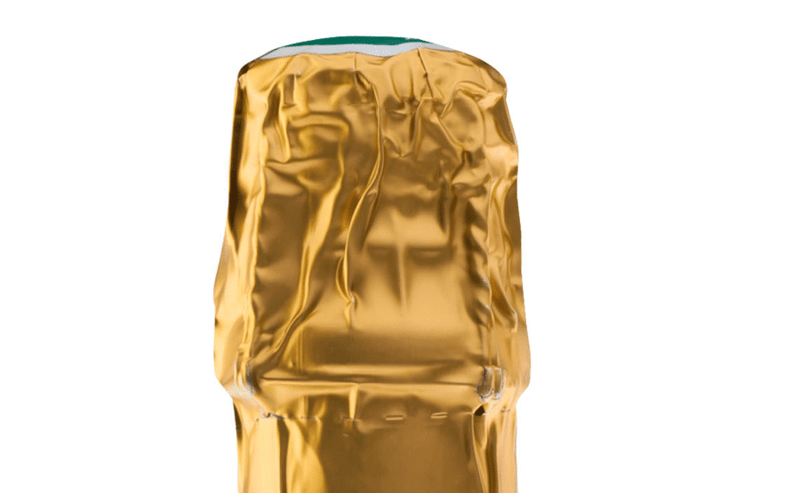 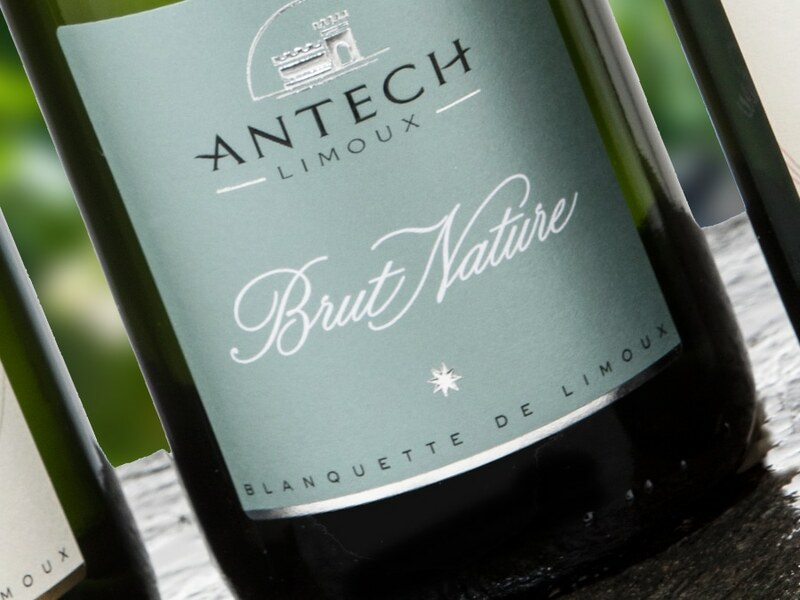 Our Brut Nature wines are made with “zero dosage”, which means that no “expedition liqueur” (sugar) has been added to the bottle. 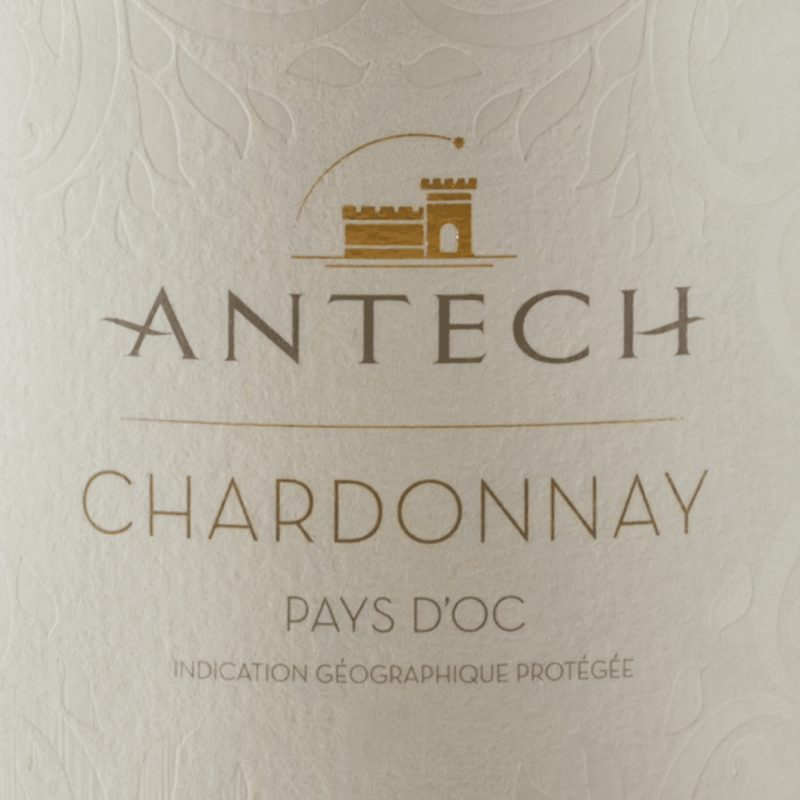 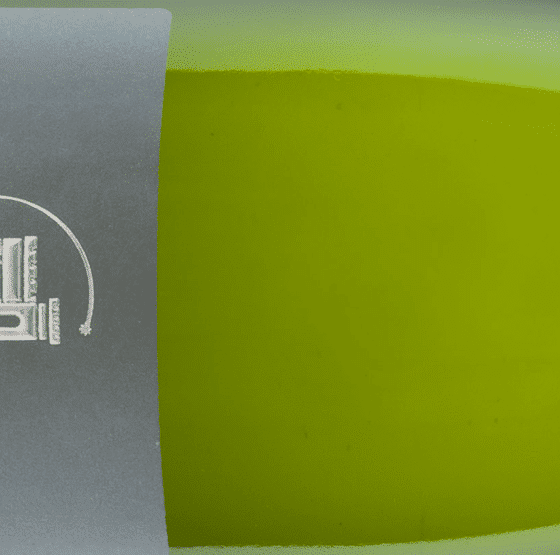 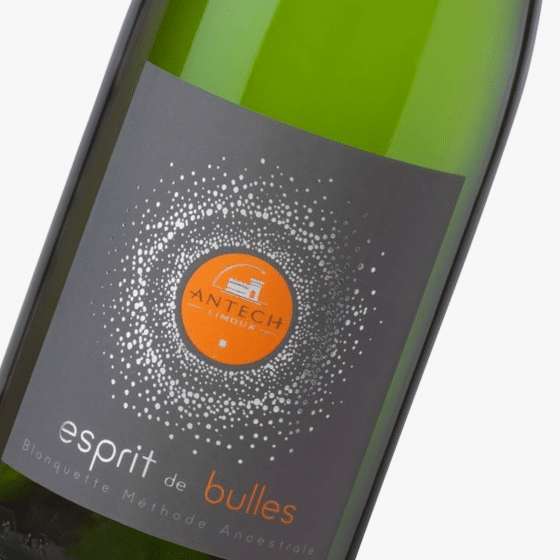 They respect and reveal the purest expression of our painstakingly selected grapes and our blends — berries, linden tree flowers, crisp green apple, anis, etc. 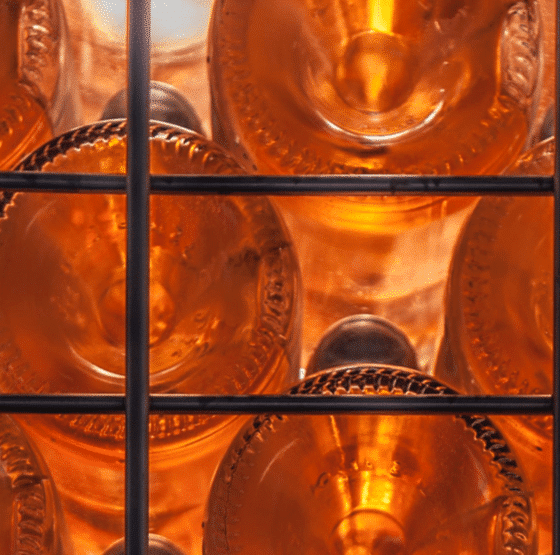 — depending on the cuvées.